Caroline Graham-Wood’s teachings range from yoga on the open water to yoga nidra in the hills of Wales, restorative practice for prospective mums in the busy London metropolis and power yoga around the globe. In using the benefits that can come from yoga, she believes that one will find a balanced mind and centered spirit. 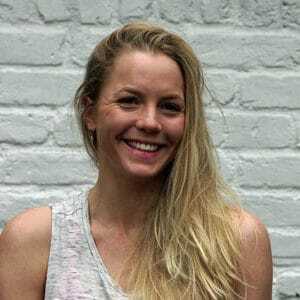 Caroline has travelled the world with a hula hoop, harp and a yoga mat and can either be found living in a tent on Tulum beach in Mexico, teaching in some of the best yoga studios in London or taking her practice to the water with SUP Yoga. She is fascinated with anatomy and physiology which is one of the courses she leads on her teacher trainings as well as the science of Ayurveda, whilst touching on the more spiritual aspects of yoga, keeping in mind that yoga should be fun, should complement your life… and there is nothing wrong with a glass of wine a few indulgences along the way!